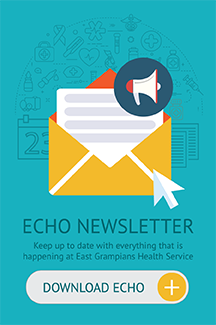 East Grampians Health Service is committed to the health purchasing policies issued by Health Purchasing Victoria (HPV). More information including a link to the HPV policies and guidelines can be found on the HPV website. Procurement Complaints Management SOPP outlines the procedure that East Grampians Health Service follows to respond to a Procurement activity or process complaint. Procurement Activity Plan 2019 – 2021 provides Suppliers with an indication of likely sourcing activities for both Construction and Goods / Services for East Grampians Health Service (Please note that these are indications only, and that no guarantee to procure is given or intended). Gifts Benefits and Hospitality in Procurement Employees engaged in procurement activities shall at all times conduct their responsibilities ethically and with integrity in accordance with the organisation’s Code of Conduct, Financial Code of Practice and related policies and guidelines so as to promote public confidence in the integrity of our procurement processes. Employees engaged in procurement must not accept gifts, benefits or hospitality from suppliers or their representatives or from organisations, firms or individuals with whom they have official dealings. Corporate sponsorship when there is demonstrable benefit to the organisation, a campus or a department, may be accepted by approval of the Chief Procurement Officer (CPO) only. Sponsorship must in no way influence procurement.